NES Super Mario Bros. (PRG0) "warps" in 04:59.6 by Pom. 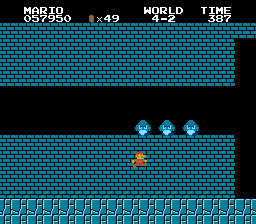 A new tool-assisted record time at Super Mario Bros. Which makes it 21 frames (0.35 seconds) faster than the previous version.